V.S.O.P Club stands for Very Strong Old People’s Club. This is another community project by Rumah Charis. The aim of the club is to provide an avenue where senior citizens from all walks of life can gather and spend some time in games, interaction, learning new skills amidst a healthy and conducive environment. Exists to affirm the senior citizens’ status and dignity through independent participation in activities. Enable the senior citizens to have a stable lifestyle through proper use of their time. Encourage the public to care and love the senior citizens through organized interactive social activities. Enlarge the potential abilities of the senior citizens to be useful citizens through learning new skills. 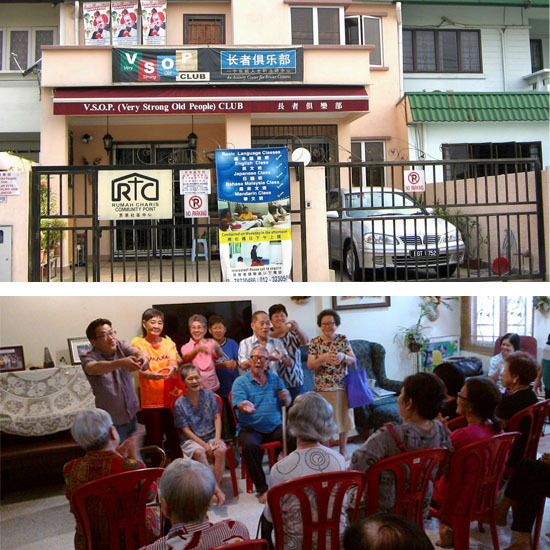 Equip the senior citizens’ club to be a place for relaxation and a learning center with professional services. All these provide opportunity for the senior citizens to use their time in a healthy and interactive atmosphere where they can meet friends and make new friends in the process, enhance their self image and confidence, sharing experiences and knowledge, and have opportunity to hear and be heard as they share their favourite topics in group discussions.